← Living with curiosity, willingness, openness and enthusiasm…as I learn to “choose…plug in…and…connect” to positive energies! I saw this sign last month, on the wall of a shop in Savannah, Georgia. As I thought more about that idea, however, I thought about how I actually DO care about “how I look.” I pondered about how often I DO care about “what” looks good on me. 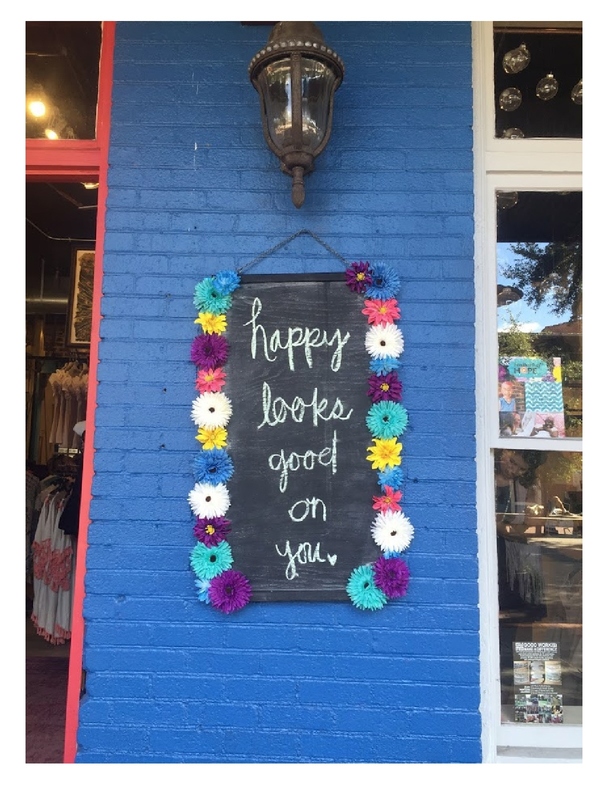 What might we specifically think “looks good” on us? What might we consider most important about “how” we look? “How” might we prefer to present ourselves? 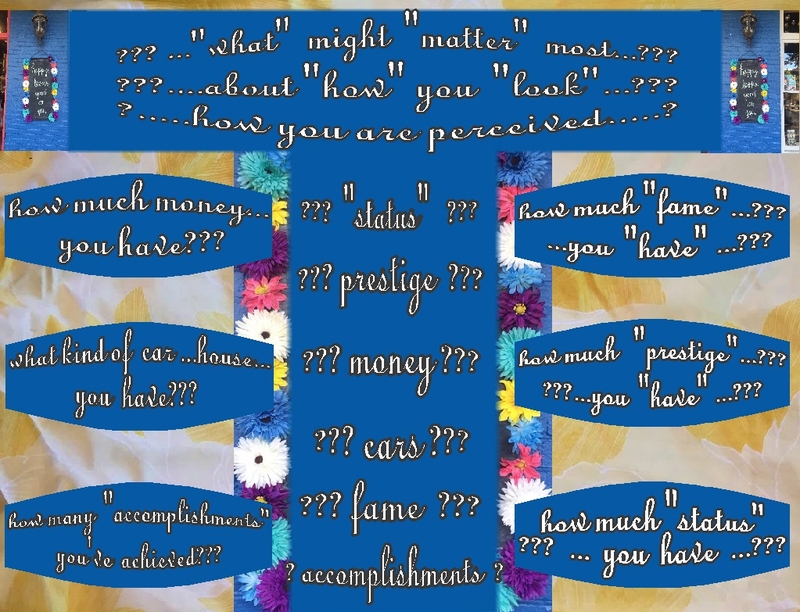 “How” might we wish to be perceived? That endearing little sign certainly set off…. lots and lots of questioning…. 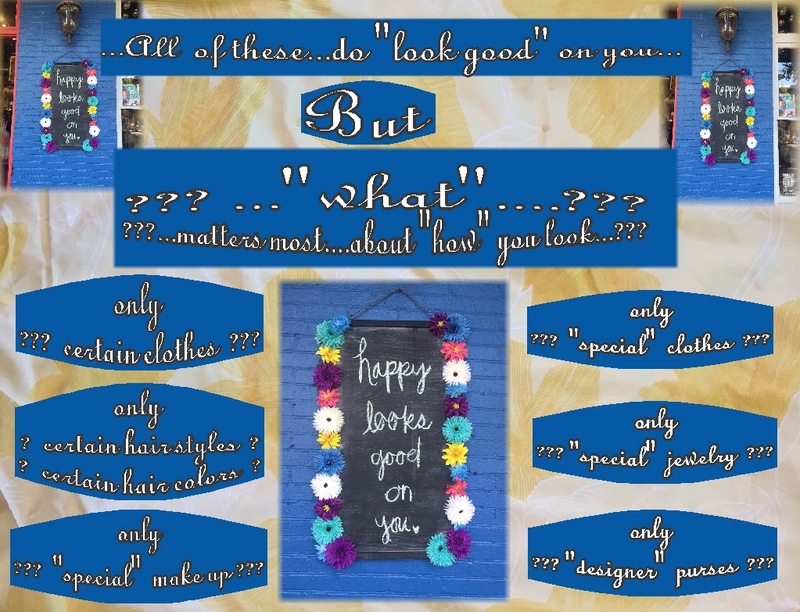 “What” … “looks good” on us….??? a few areas that many women, myself included…might be caring about…??? might I be at all mistaken about any of these….???? Certain….hair cuts…hair styles…hair colors….make up….??? Any…???….some….???…. of those external factors…??? 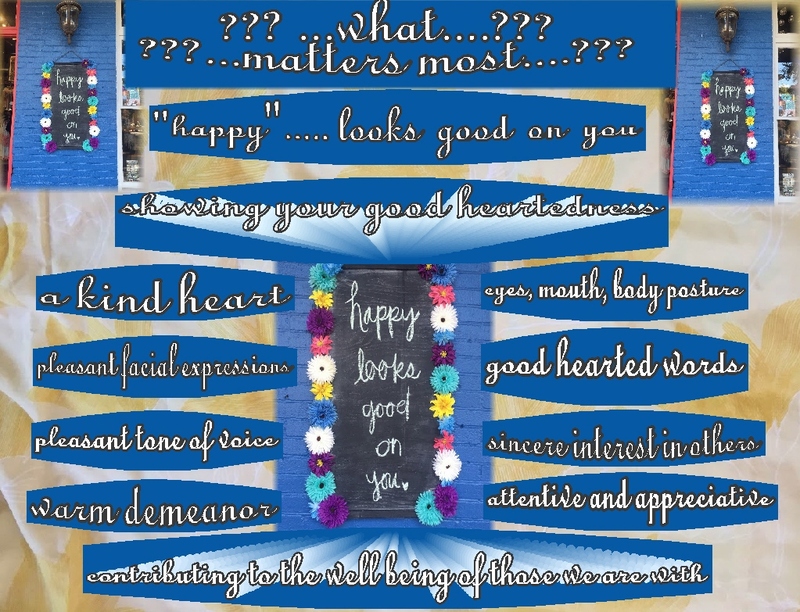 What other “factors” might we think “matter most” to each one of us…. in how we each might wish to be “perceived”…. ??? Any…???….some….???…. of these other external factors…??? 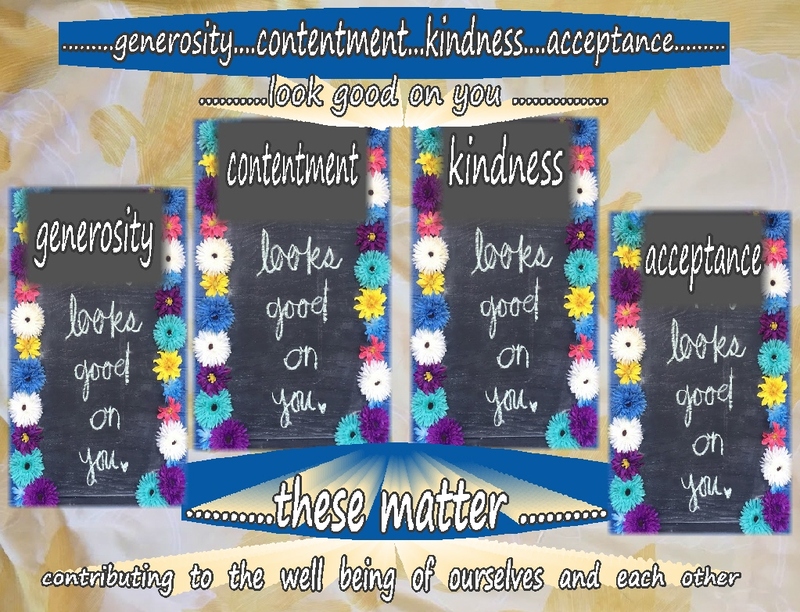 What might matter most in how each one of us “looks” each day? 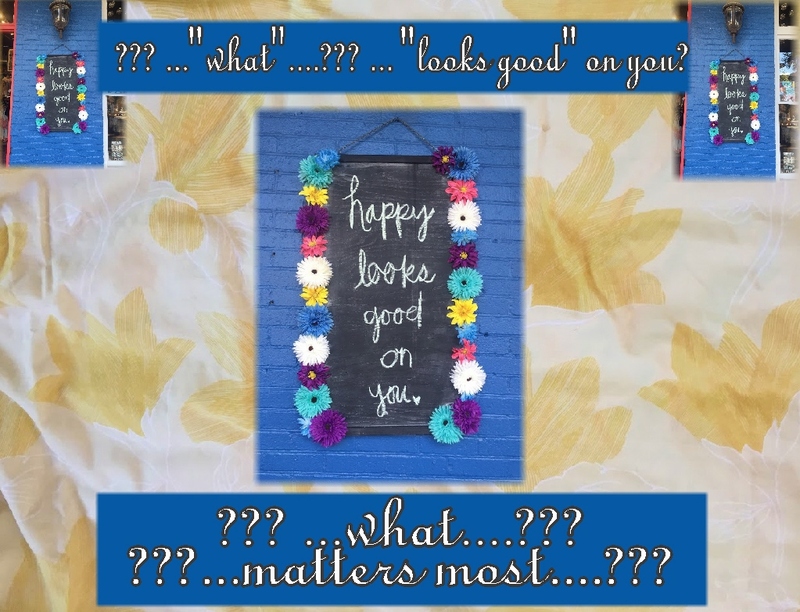 What might matter most in how we “look” each day? 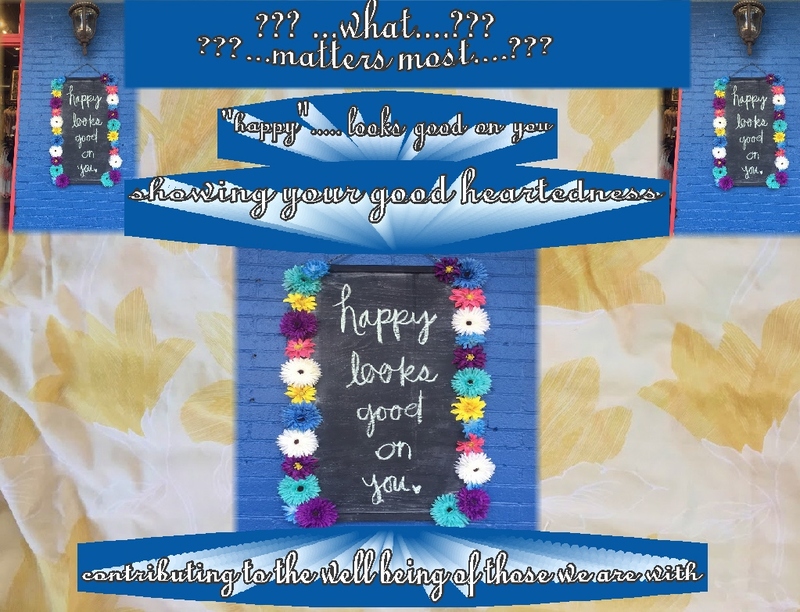 What might matter most in choices we’re making….? the most important aspect might NOT be…. 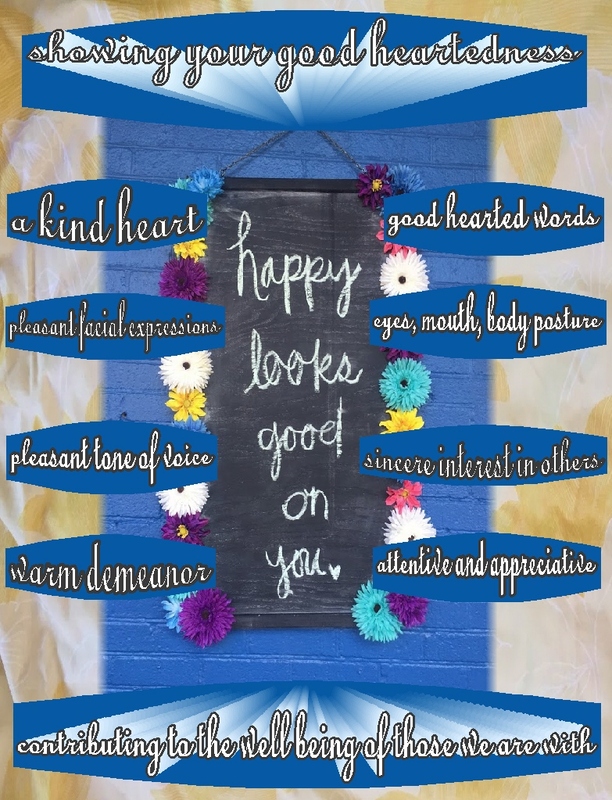 the most important aspect of how we “look” might be…. What can we choose to “wear”….? 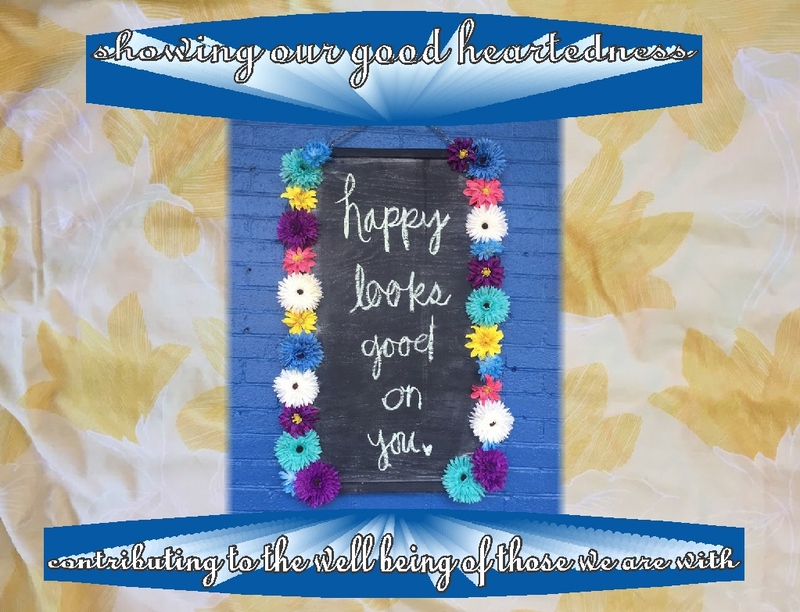 This entry was posted in Beauty, Encouragement, Life and tagged Awareness, Beauty, Encouragement, Goodness, Happiness, Inspiration, Life, Love, Loving kindness, Motivation, Nurturing, Spirituality, Wisdom. Bookmark the permalink.